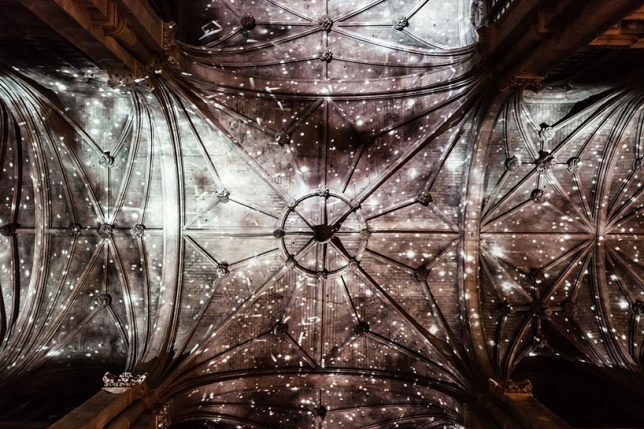 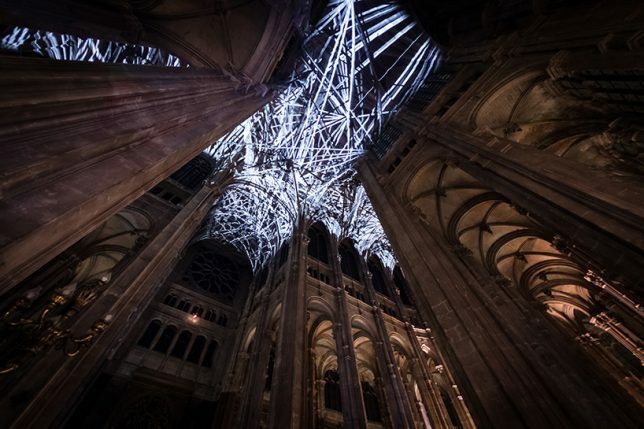 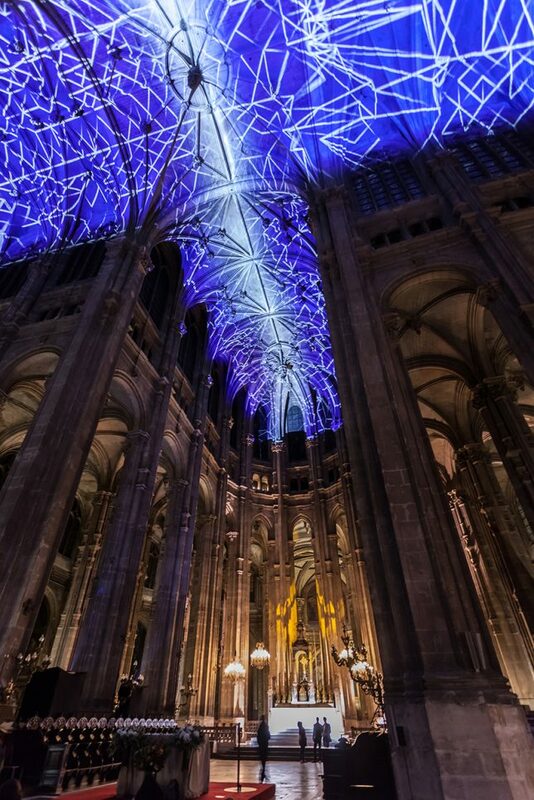 The ceilings of Paris’ Saint Eustache Church are once again alive and flickering with a surreal display of abstract imagery as artist Miguel Chevalier projects ‘Voûtes Célestes’ onto its vaults, nave and transepts. 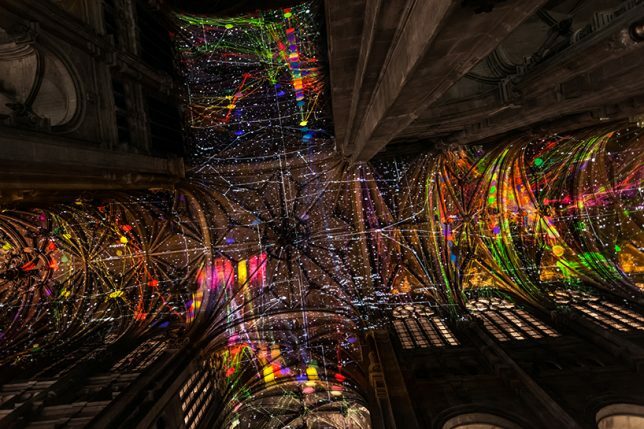 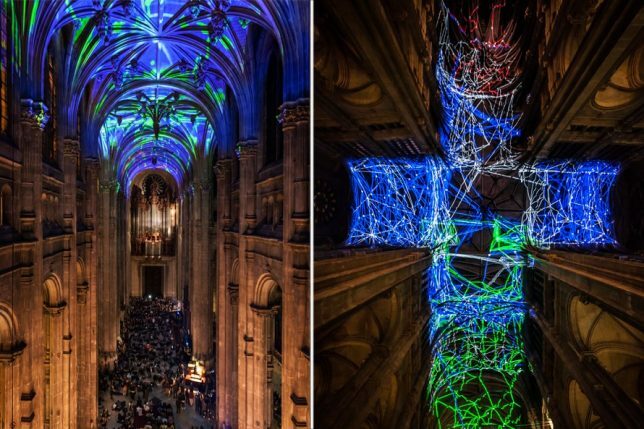 Installed for the annual Nuit Blanche (All-Nighter) event, the live light show flashes, ripples and glows along to musical improvisations by the church’s organist, envisioning imaginary sky charts created by Chevalier in real time. 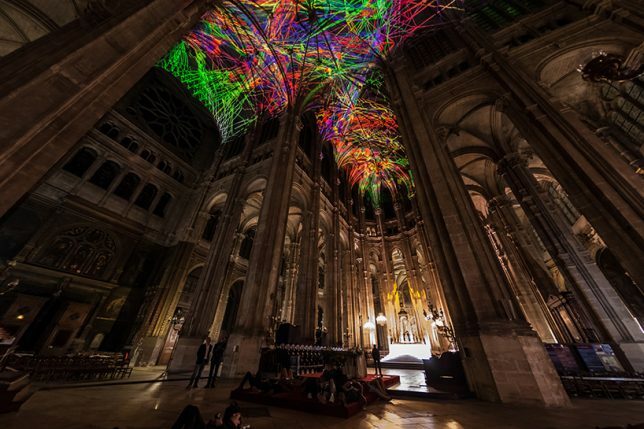 Blankets of stars and other celestial bodies glimmer in the dark, transected by neon lines in green, red and yellow that crackle light lightning and ripple as if being blown by wind. 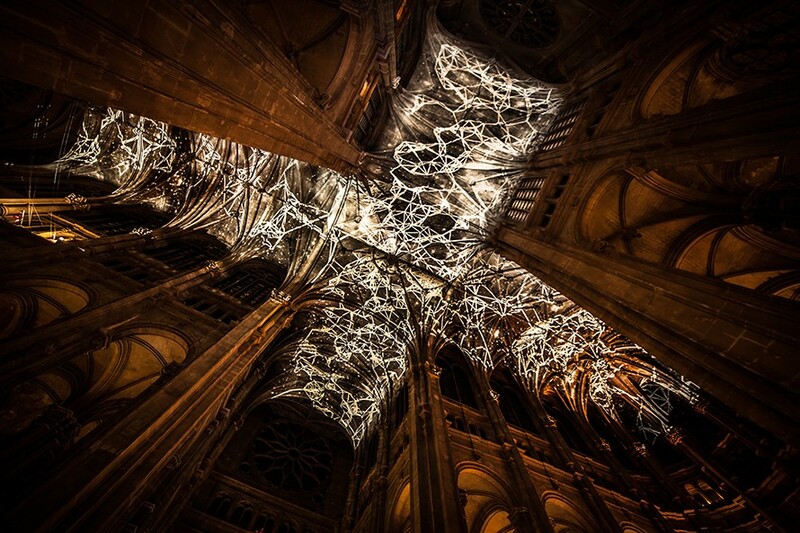 The lights interact with the architecture of the church, blurring its actual form and creating trompe l’oeil effects. 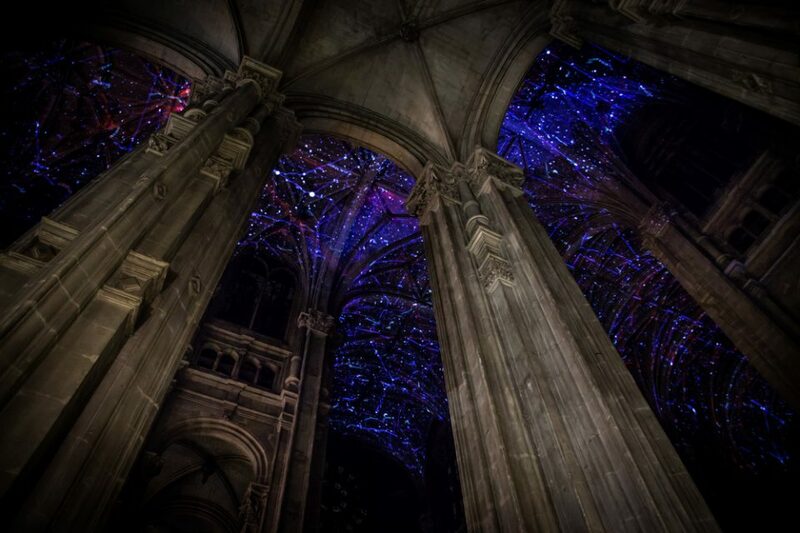 At times, the entire ceiling seems to disappear, putting on display an imaginary sky full of colorful lights.